This page features a Free Printable Monthly Calendar, along with printable tattoo designs for the sign of Scorpio. 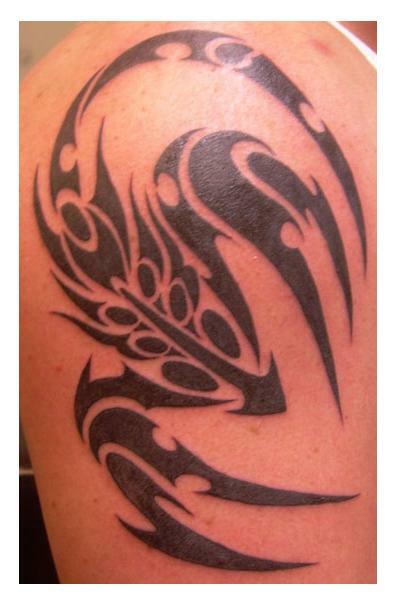 The art of tattooing has been practiced for many thousands of years, and is popular worldwide. Some statistical surveys suggest that more than half of the world's inhabitants are tattooed. To print any of the images shown on this page, just right click on an image and select a SAVE option from your drop down menu. This will save it to your picture file. From there, reduce or enlarge the image as needed and adjust the page margins when necessary. Most important is altering the graphic design to make it uniquely your own. Then take it to your favorite neighborhood tattoo shop. Or better yet, print it out from your home office on temporary tattoo paper. These images can be used to adorn your stationery, design a logo, enhance your artwork, jazz up a web page, and for just about any other purpose you can imagine. 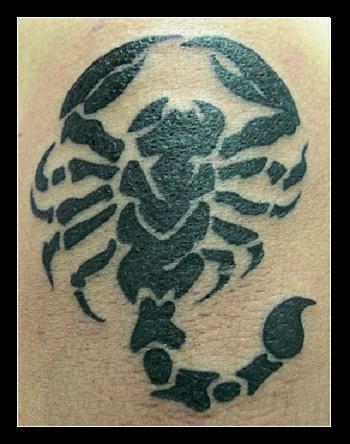 People born under the sign of Scorpio typically celebrate their birthdays between October 24th and November 22nd. 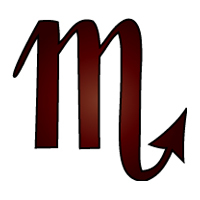 The colors most often associated with the sign of Scorpio are red and black. The star stone for the sign of Scorpio is the Opal. A star stone is different from a birth stone, which represents a calendar month. Appropriate gifts for Scorpios include accomplished works of fine art, classy home accents, competitive events, and show tickets. Suitable careers for Scorpio personalities include challenging positions such as restaurant management, event planning, medical professions, and self employment. For more tattoo designs, clip art designs, customizable monthly calendars, and other assorted free printable items, click any of the links shown on this page. See this link for the Main Clip Art Gallery. Hit this link for another collection of Free Printable Monthly Calendars.